On the hunt for the best skin brightening products to instantly transform dullness into glow-y, dewy and radiant skin? We feel ya. Especially since sometimes it can seem like no matter how hard you try, your skin refuses to display your efforts. You're keeping hydrated, you're moisturizing on the reg, you're eating well (enough) and even getting much needed shut eye. And still you're skin looks lackluster. So what gives? The answer is that you're most likely not taking advantage of the best skin brighteners. 'Cause the truth is that there are certain ingredients that will do more to transform your skin than getting all the sleep in the world. The key is knowing what they are and using a combination of them wisely and religiously. In the interest of helping you do just that, here's a roundup of the best skin brightening products out there - read on to find out exactly how and why each one works to restore the radiance that's your skin's natural birthright! 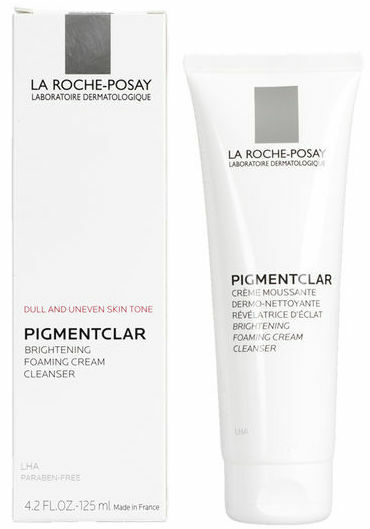 A darn good brightening cleanser is your first defense against dull skin and La Roche Posay's Pigmentclar Brightening Facial Cleanser more than fits the bill. Its claim to fame? Gentle yet thorough exfoliation that smooths the way for brighter, smoother and more radiant skin. Not only does it gradually fade dark spots, it contains salicylic acid which helps combat blemishes and penetrates deep into the pores of the skin, thanks to its unique oil solubility. The result is a delicious deep de-gunking of the impurities weighing down your skin. Just keep in mind that this is an exfoliating cleanser and it contains the chemical exfoliant salicylic acid, which can be drying, especially if you already have dry skin. That being said, it's still one of the gentlest exfoliating cleansers you can get your hands face on. The upside is that you only need the teensiest, tiniest amount to lather up your whole face, which means a bottle will last you months - that's a long time to keep dull skin days at bay. If your skin is used to alpha hydroxy acids (AHAs) and beta hydroxy acids (BHAs), you'll be able to go for a more potent exfoliating cleanser like Revision's Brightening Facial Wash. This stuff is a brightening bomb - it's formulated with a tag team of the most effective chemical exfoliants like salicylic acid, an oil-soluble BHA to deep dive into pores, and glycolic acid, an AHA with the smallest particles to penetrate deeper into the skin for a thorough exfoliation. But it doesn't stop there - as dirt, debris, and dead skin cells are scrubbed off, this brightening facial wash goes a step further by adding in lightening and brightening ingredients like Vitamin C to promote cell regeneration, licorice extract to inhibit melanin production and fade dark spots. Just remember that this all adds up to a powerful combination of ingredients, which can come on a bit strong at first. Although the formula does contain nourishing moisturizers like Vitamin E and Panthenol, it can dry out your skin and even cause mild peeling (like a chemical peel) if you follow the instructions to use it morning and night. That's because this product actually does what it says: it brightens and a part of that is through sloughing off the surface layer of skin. So start slow by using once a day or even every other day to give your skin some time to adjust. And yes, moisturizer and sunscreen are a must! Many of us don't consider a toner to be essential to our skincare but when it comes to brightening your complexion, you really don't want to skip this step. Especially since it only takes a second and can play a huge part in transforming the way your skin looks and feels after cleansing. A great toner that's stocked with helpful ingredients - and leaves out irritating and harmful ingredients like alcohol - can replenish and nourish your skin after cleansing by quickly supplying the skin with generous amounts of antioxidants, hydration, soothing agents, as well as beneficial ingredients that further boost skin cell turnover and lighten hyperpigmentation. Just make sure you choose one that's full of brightening goodness, like C Bella's Organic Brightening Toner, which is made from a base of aloe vera and has heaps of natural exfoliating ingredients like papaya and pineapple extract as well as brightening ingredients like citrus extracts. 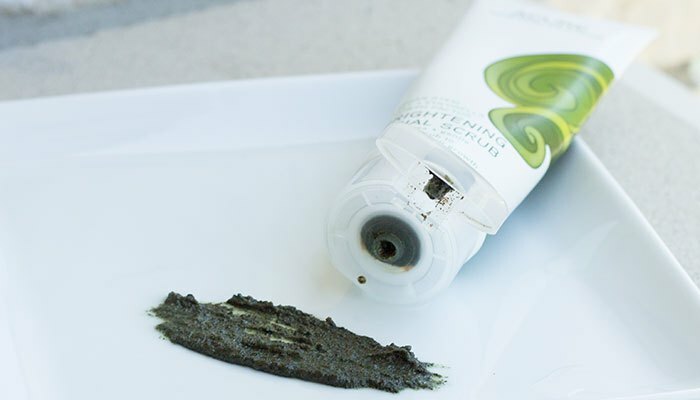 When it comes to brightening your complexion, there's nothing quite like exfoliation. Exfoliation allows you to quickly slough off the dead, rough and dull outer layer of skin, instantly improving skin's texture and tone. But as great as exfoliating is, you don't want to use any old scrub - many exfoliating scrubs use synthetic beads that pollute our environment and are ingested by marine life. On top of this, some exfoliants aren't okay to use on your face at all - when it comes to your delicate facial skin, opt for exfoliants that consist of soft, natural beads. Like Acure's Brightening Facial Scrub. This is our favorite manual exfoliator for brighter skin - and for good reason. It's affordable. It can double as a mask and a scrub. And it's composed of good-enough-to-eat deliciousness for your skin like aloe vera and extracts of a wide range of botanical sources of antioxidants like acai, blackberry, rosehips, pomegranate, rooibos, and a whole lot more. It gently exfoliates with very finely ground walnut shell flour and kelp powder and lightens dark spots with natural melanin inhibitors like lemon peel. Overall, the best brightening manual exfoliating scrub you'll find on the market. What better way to instantly brighten up your skin and give yourself a little pamper session than to don a facial mask? 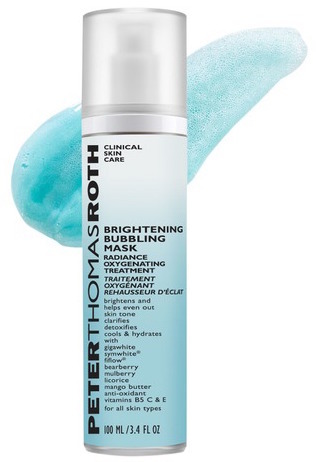 Although Peter Thomas Roth's Brightening Bubbling Mask isn't what you'd typically think of when you think 'face mask,' it's still a lot of fun and it gets the job done. Formulated with a heap of natural brightening ingredients like licorice root extract, bearberry extract, mulberry extract, Gigawhite, Symwhite, and Vitamin C, this mask goes a step further with a foaming, bubbling action that releases oxygen into the skin. This bubbling sensation is fun, tickly awesomeness - and it leaves your skin visibly brighter. The best part is that it only takes around 3 to 5 minutes, making it the perfect brightening mask for when you're in a rush and the brightening results last for hours. Overall, a perfect brightening mask for those on the go. We love sheet masks - especially the ones that brighten and lighten. And the best of these hail from Asia, which is not surprising considering luminous, even skin has been trending there for centuries. What's awesome about sheet masks is that the occlusion provided by the cover helps boost penetration of the helpful ingredients in the mask. Even better? Sheet masks are typically packing hydrating, nourishing ingredients alongside brightening ones so they won't dry out your skin, making them perfect for dry-skinned beauties looking for a little brightening TLC. So which brightening sheet masks should you reach for? 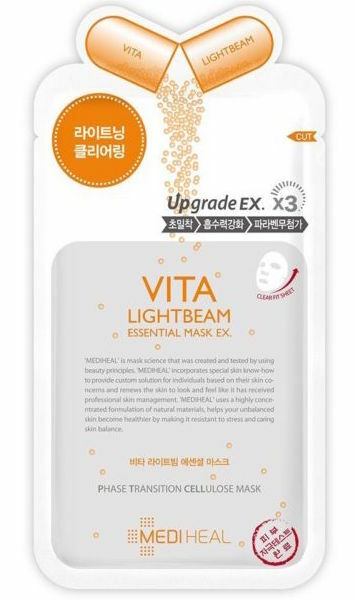 Mediheal's Vita Lightbeam masks are perfect - using natural skin lighteners like Vitamin C and Niacinamide to gently lighten and fade dark spots. 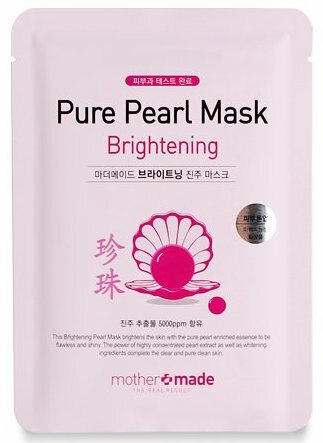 Mothermade's Brightening Pure Pearl Facial Masks are another favorite - packed with pure pearl extracts that regenerate and revitalize the skin while boosting exfoliation of dead skin cells and speeding up ​skin cell turnover. Exfoliation is a must to brighten skin but not all exfoliation is equal. Manual exfoliants like scrubs are great for removing dirt, debris as well as dead skin cells on the very outer layer of your skin but that's pretty much where their benefits end. They can also be a bit too abrasive for sensitive skin. Chemical exfoliants, on the other hand, are able to penetrate more deeply into the skin than manual exfoliants for a gentle yet very thorough exfoliation, making them perfect for the sensitive-skinned beauty who’s looking for an instant brightening that lasts. The peel of choice? 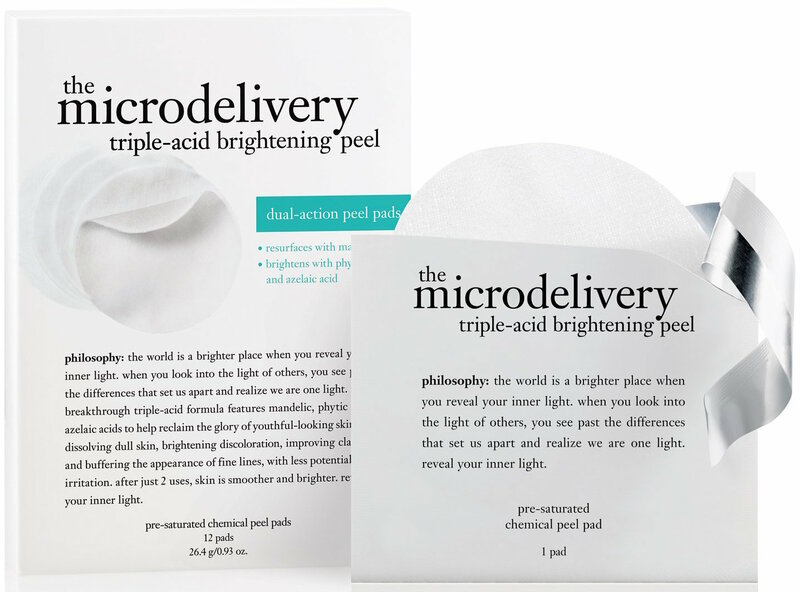 Philosophy’s Microdelivery Triple-Acid Brightening Peel is highly effective and gentle enough for quick, regular use. Each of the pre-saturated chemical peel pads are soaked in a gentle yet effective triple-acid formula that consists of Mandelic acid, Phytic acid and Azelaic acid. Mandelic acid is made from bitter almonds, making it an all-natural ingredient. It’s an alpha hydroxy acid (AHA) like glycolic and lactic acids, but it’s much less irritating thanks to its larger molecular structure. The bigger size means it takes longer to penetrate the skin’s surface. Result? Less irritation, making it perfect for those with sensitive skin. Mandelic acid is also a melanin inhibitor, meaning it works to lighten the skin by reducing the amount of melanin your skin makes – you know, the stuff that gives your skin a darker pigment. 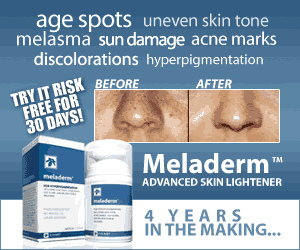 It’s even proven to be effective in fading melasma without the irritation that typical bleaching treatments like hydroquinone cause. It’s the same thing for Azelaic acid, another effective skin lightener that inhibits melanin and helps matte-ify oily skin. Both Mandelic and Azelaic acids are great for combating acne as well. As for Phytic acid – it’s one of the gentlest of all the acids and yet another effective skin lightening ingredient that basically works by blocking the entrance of iron and copper in the formation of melanin. The best part? Its antioxidant action helps fight off free radical damage on the skin. Overall, super effective ingredients formulated to be as gentle as possible. 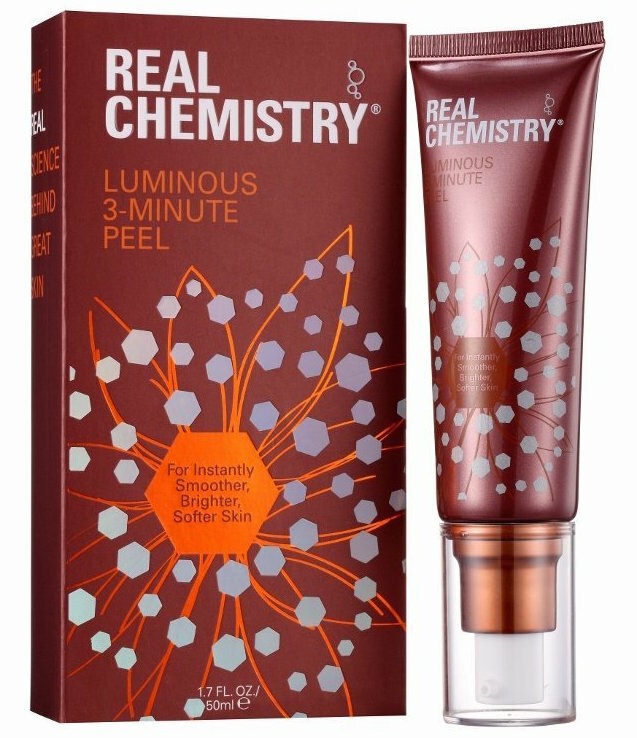 Here's another huge treat for an instant brightening effect: Real Chemistry's Luminous 3-Minute Peel isn't like anything you've tried before. It doesn't use AHAs or BHAs to gradually exfoliate your skin. Instead, it has a unique gel formula that combines with your dead skin proteins and literally peels the dead gunk off your skin. You can use it while using chemical exfoliants - in fact, it'd be helpful to do so in order to clear away any scaly peeling and dead skin as they occur. The result is a super smooth, clear and even complexion. It's able to give instant results because you get that glow and radiance when your complexion is smooth enough to reflect light. As dead skin cells pile up, they diffuse the light and make your skin look dull, lackluster, and tired. By clearing out dead skin and giving your skin a smooth complexion, this peel leads to an instantly bright radiance. Plus, it feels amazing. Of course, this list of best skin brightening products would be incomplete without one of the key must haves for brighter skin: a damn good moisturizer. Moisture is essential for bright, healthy skin because the many demands that we place on our skin causes microscopic cracks in its surface, which show up as dullness. The simple act of using a deeply nourishing moisturizer fills in those fissures by replenishing the natural fats of the skin and sealing up the gaps between skin cells. The result? A smooth, reflective surface that shows up as brighter, more even skin. So what is the best brightening cream? Look for a skin brightening cream that contains super hydrating ingredients like hyaluronic acid, which reinforces your skin's natural moisture barrier and even plumps up skin cells by attracting water to surrounding tissues. But moisture is not all you're after - an ideal brightening cream should also contain gently exfoliating ingredients like AHAs or BHAs as well as skin lightening ingredients like kojic acid and licorice root to gently fade hyperpigmentation. 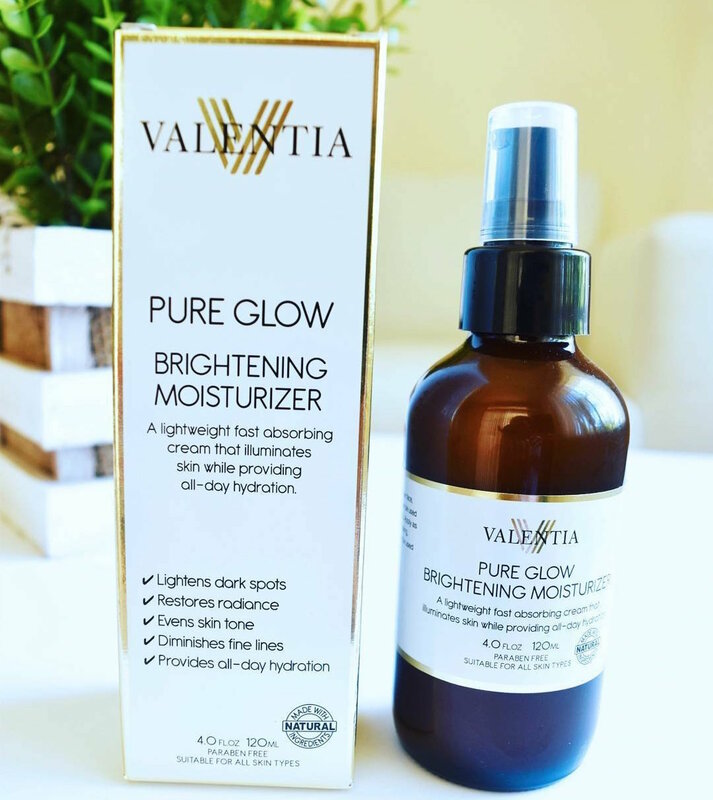 The Pure Glow Brightening Moisturizer checks all those boxes and more, making it our top choice to brighten your skin throughout the day.